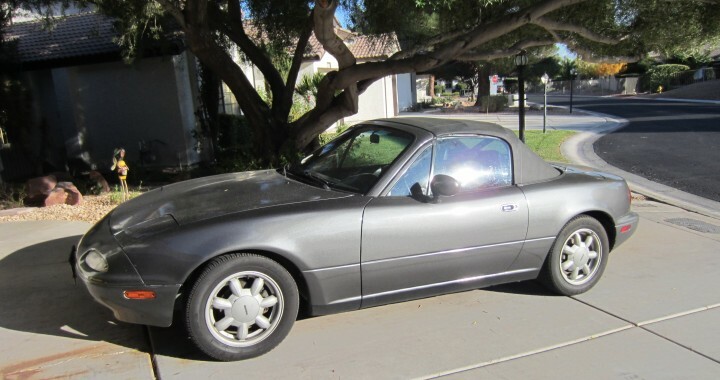 1990 Miata, Mileage 137,000: Exterior Color: Grey, Interior Color, Black, 5 sped Transmission, new clutch, A/C just serviced, PS, PW, AM/FMCD,CC, Roll Bar, Good top with glass window, Factory Allow Wheels and Good Tires. Car needs nothing!! my daily driver and maintained at Rocky’s Miatomotive. Posted in Cars For Sale, Classified and tagged Cars For Sale.